The inaugural post for the series formerly known as Take 5 Friday. Weeee! 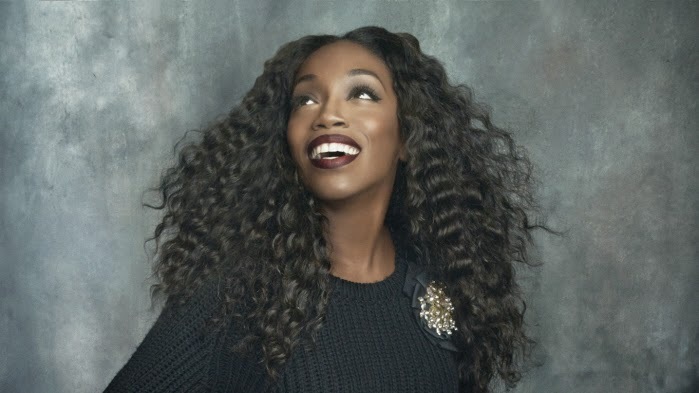 + Estelle In The House --- Aside from the indomitable, "Conqueror" and a song about letting that kitty kat meow, Estelle has a glorious house number resting in the tracklist of her recently dropped, True Romance set. "Something Good/Devotion (Passion Interlude)" is just literally resting there between her two current singles and not a peep about it. Hrumph. Wordy title aside, this song kicks up some serious '90s house dust a la CeCe Peniston in the beginning, and then goes into the deepest recesses of today's modernized techno-house without a flinch. 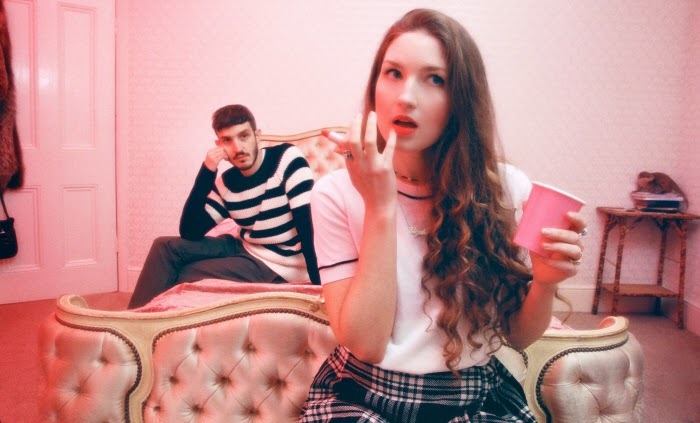 + Bad Love --- Summer Camp's "Fresh" was one of my summer jammies from 2013 and the duo are back with the Cali girl lament, "Bad Love". Their new album (also called Bad Love, because we gotta be consistent here...) will be out May 25th. + The Power of an All-Woman Mariachi Band: The Atlantic is currently doing a series where they highlight subway performers in New York City, and the first installment features an all-woman mariachi band! + FROOT Off The Loom --- Marina & The Diamonds (aka Marina Diamandis) sat down with Interview magazine to discuss FROOT, the dismantling of her Electra Heart persona, and what hair color she prefers to rock. She's so damn delightful. If you're not following her on Twitter, then look at your life, look at your choices and follow her! Side Note: Yours truly will have an assessment on the pulpy somberness of FROOT as soon as I hunker down on my writing and and stop spending my nights binge watching A Different World. + ThursdayFridaySaturdayLove --- Zimmer x Pallace offers up a wonderful piano house flip of Cherrelle and Alexander O'Neal 1985 classic, "Saturday Love". Yep, the song is embedded in there...just listen closely...so divine. + Joy To The World: My adopted cool auntie in my head, the Christmas Glitter Queen herself, Mariah Carey, is making a Christmas movie! Of course she is...silly rabbits. Proposed director Brett Ratner gave away some exclusive details about the film, and by "exclusive" I mean:"It will be everything you hope a Christmas movie with Mariah Carey will be." So lots of champagne, high heels, and signature shade thrown at Mrs. Claus, right? Can't wait. 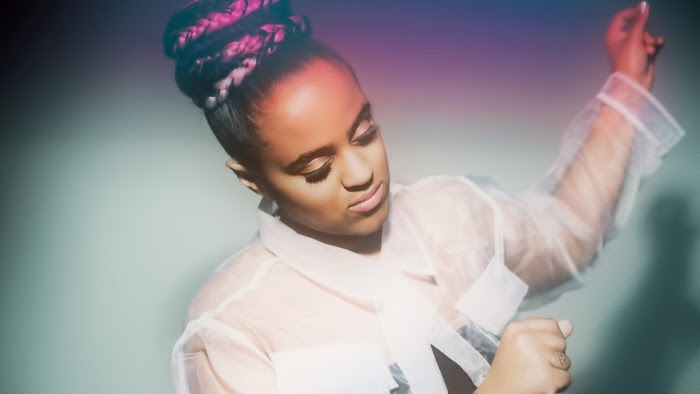 + Poetic Justice --- After successes with "Younger" and my personal favorite clapback anthem, "Hard Time", Seinabo Sey is keepin' onward. She comes a little softer with "Poetic" a new track from her latest EP, For Maudo, but over the piano threaded orchestral Miss Seinabo still vocally slays with diction so crisp as she sounds like a cross between London Sessions' era Mary J. Blige and Alicia Keys back when she was experiencing 'the element of freedom'. Lovely stuff. + Gonna Make A Pie With A Heart In The Middle: Piano lady, Sara Bareilles is making pie, I mean, making music for the upcoming musical, Waitress, based on the 2007 Adrienne Shelley film starring Keri Russell. I'm trying to hold in my excitement to seem professional but I CAN'T HELP MYSELF BECAUSE THIS IS AMAZING NEWS!! + Let Me Be The One That You Dream Of --- Scandinavian songstress Marie Dahlstrom and Canadian producer Mawhs have joined forces to become Hans Island. Seems to be a side project, but anything Dahlstrom lends her peerless soul voice to I'm always game for, and the duo's first installment, the aquatic flow of "Let Me Be" plays the winning hand.